Clients considering the surrender of an annuity product have many factors to weigh before determining the wisest course of action. Whether they realize it or not, clients considering the surrender of an annuity product have many factors to weigh before determining whether walking away is the wisest course of action, and the scenario is becoming more common each day. Clients who are locked into variable annuity products may find themselves evaluating buyout offers from insurance companies that want to escape the guarantees that are often attached to these products. In other cases, clients may simply have buyer’s remorse and wish to escape themselves. In either case, professional guidance is crucial to navigating the decision making process—to ensure both that the client receives the best possible deal upon surrender and that the recovered funds are allocated in a manner that best suits the client’s current needs. For clients who are still attracted to the income-producing feature of a variable annuity, however, it might be best to hold on to the product in the face of a buyout offer, especially if the product offers guaranteed returns that may be unavailable in a replacement product. 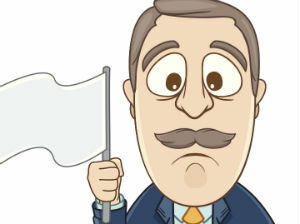 It is important that clients realize they will owe taxes upon any gain realized at the time of surrender. If the client has only held the annuity product for a few years, this gain might not be substantial—in fact, many variable annuity products that were issued just before the economic downturn in 2008 are just now returning owners to the break-even point. Still, for clients who have owned the variable annuity for many years, the tax liability can be substantial—especially when the new 3.8 percent investment income tax for high earning taxpayers is taken into account. For previous coverage of variable annuity buybacks in Advisor’s Journal, see Variable Annuity Guaranteed Benefits: Going, Going, Gone?